The lonliness that consumes you when the CNC operators talk shop is all about to end. You may not know how to bolt a billet of aluminum into a chunk without removing half your arm skin, but you can download a program with less trauma and bring a CHUCKle to a machinists face. 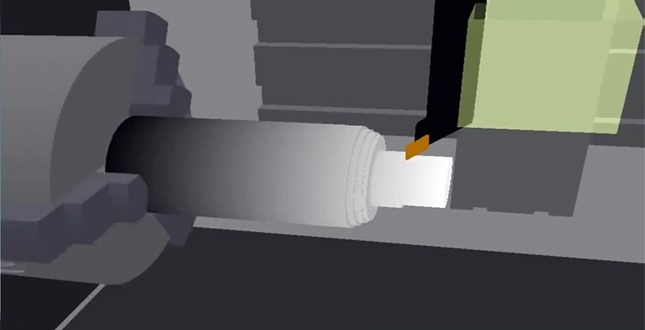 A fresh CNC simulator program, aptly named CNC Simulator is available and liable to interest anyone who has or has wished they could shape materials on a CNC Machine. Me? I’m gonna use it to simulate the 5-axis cut of a mechanical arm the drill press and milling machine operators can use to battle against each other. Prepare for the download and some jazzy CNC Simulation video down below. You can download the CNCSimlutor here. It’s completely free “returnware” that’s a fully functional license, granted you return to the site every once in a while to refill the fuel. CNC Simulator via Gizmodo. Hat tip to Butch who makes sandwiches with metal shavings and cutting oil.